Marco Tello is an accomplished singer, songwriter and multi-instrumentalist working in various styles and formats. He has worked in areas as varied as Rock, Bluegrass, Country, Red Dirt, Reggae, Folk, Surf and 50's Rock, Dance and Funk, all of which have had a distinct affect on his sound and style. He is equally comfortable as a soloist, providing background instrumental music, fronting a high energy group, or as a member of a combo. Marco was influenced early in life by the musical tastes of his mother. While still a child, he was exposed to the music of the Summer of Love and Woodstock, Mariachi, the great classical composers, the Beatles and other British invasion acts, and the early Folk movement. 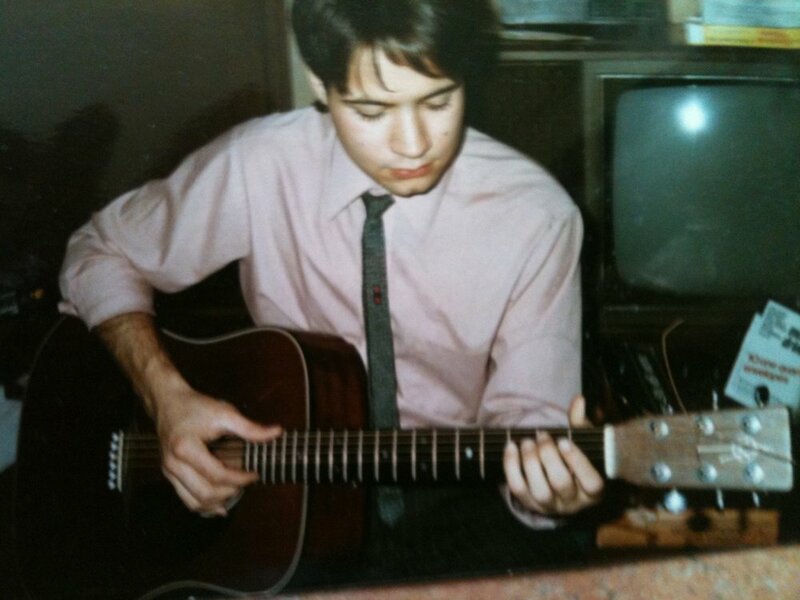 As a young man, Marco explored all manner of Rock and Pop, Folk and Country. The 80's brought new influences. Upon moving to Boulder, CO, Marco started working with Colorado State Champion Banjo Player, Kane Hollins and with the guidance of Hollins, set about to learn Bluegrass. The pair traveled all over the Western US playing their brand of Bluegrass known as Fastgrass. At the same time, the Colorado New Wave and Punk scene was in full bloom and bringing a huge range of influences. Now back in Oklahoma, Marco works as a solo instrumental artist, a singer songwriter, and as a part-time member of such Red Dirt bands as Rachel Stacy Band out of Ft. Worth, Additionally, Marco has teamed up with two other Oklahoma musical legends, Jeff Nokes and Edgar Cruz, to form The Brave Amigos. With Marco's current (and growing!) list of 350 songs added to the Amigos impressive song list, there is always something for everyone. Marco's current new release, The Edge of the Middle of Nowhere, solidifies his new effort to become an important Oklahoma solo artist, but with the caveat that he will also be at home in a group or combo. Please hit the ‘contact’ button if you are interested in instrumental guitar music or a solo singer/guitarist. And if your event or party is needs a little something extra, consider The Brave Amigos for a variety show with blazing musicianship and comedy. If you would like a dance band for your event then request info on The Vibe Collective, Marco' s R&B dance band. "Tello’s new release, The Edge Of The Middle Of Nowhere, is an excellent collection of songs. It is a finely-crafted example of the entire scope of Americana music as produced from the perspective of a working musician. The material seamlessly crosses lines between bluegrass, folk, blues, and rock & roll, and the resulting blend is an album that is interesting and quite enjoyable." ©2018 Marco Tello Music. All Rights Reserved.